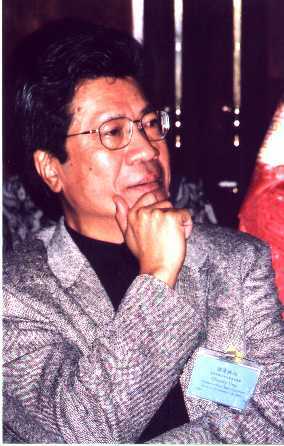 Chinary Ung was born in Cambodia in 1942 and came to the United States in 1964 to study at the Manhattan School of Music in New York City, where he received a Bachelor’s and Master’s degree in clarinet and conducting. He later turned his studies toward composition, became a student of Chou Wen-chung, and received a doctoral degree with distinction from Columbia University in 1974. It was 1977 when he received his first job as a composer at Northern Illinois University. Ung then later taught at Connecticut College, The University of Pennsylvania and Arizona State University. Dr. Ung has been Professor of Composition at The University of California at San Diego since 1995. Ung has received many honors for his compositions, including those from The Academy of Arts and Letters, Meet the Composer/Reader’s Digest Commissioning Program, The National Endowment for the Arts, and the Guggenheim, Koussevitsky, Ford, Rockefeller and Barlow Foundations. In 1989, Ung was the first American to receive the international Grawemeyer Award for his orchestral tone poem Inner Voices. Many chamber ensembles have commissioned and performed Ung’s works, and he has received performances by the Philadelphia, Louisville, Pittsburgh, and National Symphonies as well as the American Composers Orchestra and the symphonies of Tokyo, Sydney, and Basel, Switzerland. Ung is a scholar on the traditional music of Cambodia and Southeast Asia and lectures widely across the country and abroad on both his native music and his compoitions. He is the founder and President of The Khmer Studies Institute which has sponsored publications, videotapes, as well as several recordings put out on the Folkways label. Ung has had compositions recorded on the CRI, New World, and Argo labels. His most recent works include Rising Light, a large work for double choruses, piano, soloists and orchestra and commissioned by the International Festival-Institute at Round Top, Texas; and Radiant Samadhi, a choral work for the Tokyo Philharmonic Chorus.